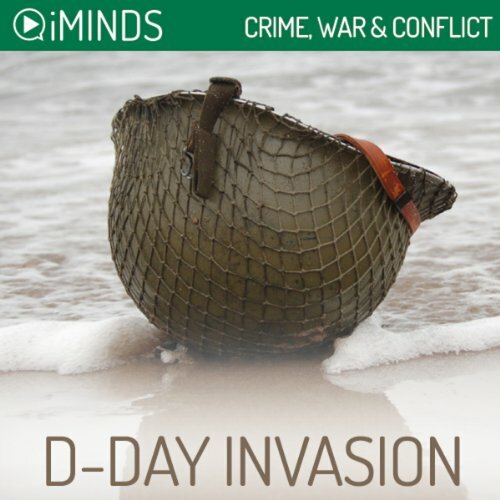 Learn about the D-Day Invasion with iMinds insightful audio knowledge series.The story behind D-Day begins in 1939 when Nazi Germany, led by Adolf Hitler, attacked Poland and ignited World War Two. The following year, the Germans occupied France and Western Europe and launched a vicious air war against Britain. In 1941, they invaded the Soviet Union. Seemingly unstoppable, the Nazis now held virtually all of Europe. They imposed a ruthless system of control and unleashed the horror of the Holocaust. However, by 1943, the tide had begun to turn in favor of the Allies, the forces opposed to Germany. In the east, despite huge losses, the Soviets began to force the Germans back. Further south, British and Commonwealth troops drove the Germans out of North Africa, and together with the Americans (who joined the Allies in 1941) they invaded Italy, Germany’s ally. However, if Europe was to be liberated, there was an urgent need to open another front and attack Germany from the west. That meant the Allies had to cross the English Channel and invade through occupied France.